NOTE: this channel will be open to Compact viewers, who can watch the show. For the first time ever, survivors and people from R. Kelly's inner circle are coming forward with new allegations about his sexual, mental and physical abuse. 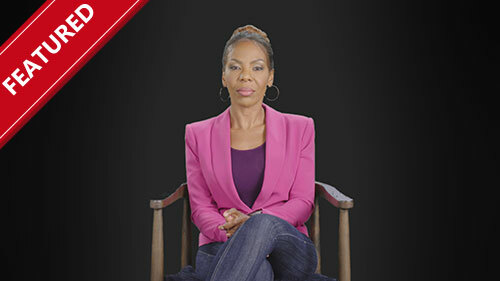 With over 50 interviews including civil rights activist Tarana Burke, musicians John Legend and Sparkle, talk-show host and former DJ Wendy Williams, ex-wife Andrea Kelly, brothers Carey and Bruce Kelly, and many others, the true story of R. Kelly's controversial past is revealed beginning in 1970 to the present day. The premiere episode explores R. Kelly's rise to fame and power as an R&B icon where he formed relationships with younger singers and dancers, including marriage to his then 15-year old protege Aliyah. Drop the Mic continues to bring the heat with more epic celebrity rap battles. Season 2 kicks off with a David & Goliath epic when Shaquille O' Neal trades bars with comedian Ken Jeong. Then we see which talk show host can really work the mic when Ricki Lake goes head-to-head with Jerry Springer in a classic heavyweight match. Based on Alex Blumberg's successful podcast "StartUp," this comedy is all about the things that happen - the good, the bad and the ugly - when a journalist and family man quits his job to start his own company. With the help of wife Rooni and their children, Alex Schuman quits his prominent job to start his own podcast company telling real stories that matter. He hires his cousin Eddie and former producer, Deirdre, to help achieve his dream. He quickly discovers it's going to be a lot harder than he thought. This colourful city known as The Big Easy harbours a dark side is a magnet for service personnel on leave, and when overindulgence is followed by trouble, Pride's team is at its best. In the Season 4 premiere, "Rogue Nation": while Pride remains on probation six weeks after his rogue takedown of the corrupt Mayor Hamilton, his team is closely monitored by Supervisory Special Agent Paula Boyd (Becky Ann Baker). Also, when the FBI arrives to run lead on a case involving a stolen big rig of nuclear waste, the team must secretly investigate from the sidelines. 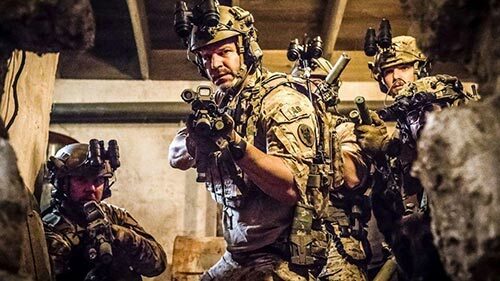 Military drama that follows the professional and personal lives of the most elite unit of Navy SEALs as they train, plan, and execute the most dangerous, high stakes missions our country can ask of them. Jason Hayes is the respected, intense leader of the Tier One team whose home life has suffered as a result of his extensive warrior's existence. His team includes his trusted confidant, Ray Perry, the longest-tenured operator with whom Jason shares an ingrained shorthand; and Sonny Quinn, an exceptional, loyal soldier with a checkered past who still combats self-destructive tendencies. They say that love makes the world go around – but a season of "Love Hurts" programmes takes a chilling look at the fiery relationships and deadly romances that would never end happily ever after. Primal Instinct looks at the dangerous duality of attraction. Each episode tells the real stories of people pulled into seemingly innocent romantic encounters that can lead to the most primal decisions and end up changing the course of their lives forever. This isn't your grandmother's antiquing. Pickers like Mike Wolfe and Frank Fritz are on a mission to recycle America, even if it means diving into countless piles of grimy junk or getting chased off a gun-wielding homeowner's land. Hitting back roads from coast to coast, the two men earn a living by restoring forgotten relics to their former glory, transforming one person's trash into another's treasure. In the Season 15 premiere: Mike and Frank find an important part for a million-dollar car. Later, the guys pick a massive bike shop that has been closed since the 1980s. After the wide-eyed firsts of their freshman year, Season 2 of Grown-ish follows Zoey and her friends as they enter their second year at CalU with confidence and swagger. Learning from the ups and downs of their first year, they all think they've got their second year on lock, but quickly realize that they're not as grown as they think. In the Season 2 premiere: Zoey, Ana and Nomi move into a less-than-stellar off-campus apartment and have to quickly adjust to each other as roommates. Zoey is excited to see Luca again after a summer of keeping in touch via social media.